We all know that vinyl enthusiasts are attracted to vinyl just for the sound and not at all for the aesthetic value of those awesome classic turntables, right? 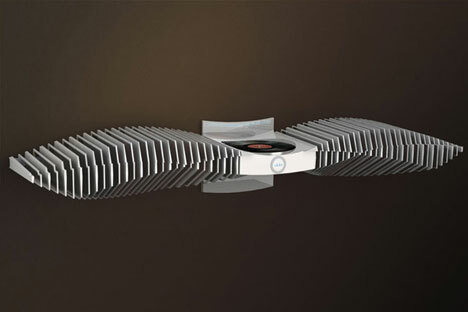 True vinyl purists may not be into this concept since it’s a little flashy, but for those of us who do care about the way our stereos look this one is unlike anything else. 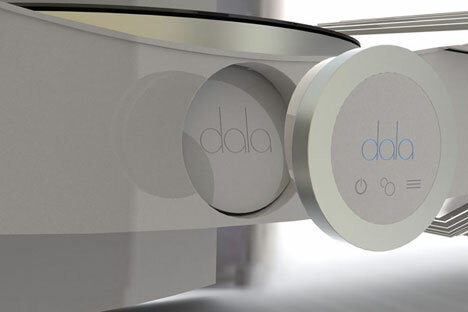 The Dala is a record player with “wings” that are actually thin membrane speakers. Although they look kind of strange, they were carefully designed to deliver a full spectrum of rich, warm sounds from all of your records – even the Pat Boone albums you keep hidden in the very back of the cabinet. The unique shapes of the attached fin-like speakers and their acrylic reflectors allow sounds to be produced in a completely new and, theoretically, very ear-pleasing way. 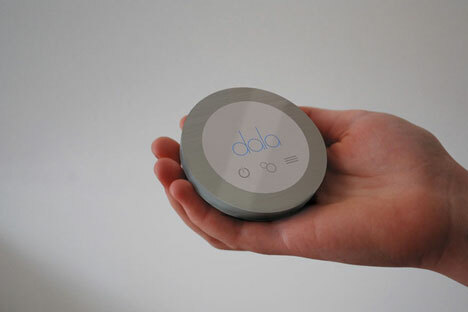 The round volume button can be removed from the main unit to act as a remote control. No matter how you choose to use it, it’s a stunning piece of audio equipment that looks more like a remarkable piece of modern art. See more in Audio & TV or under Gadgets. March, 2011.